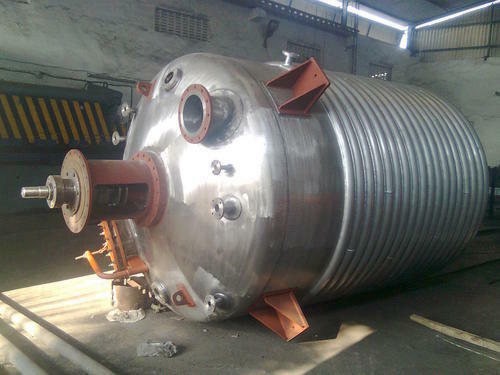 We are passionately engaged in trading a high grade range of SS Reactor Vessel. Established in the year 2012 at Vadodara (Gujarat, India), we “Aashirwad Metal Corporation” are a Partnership firm engaged in Trading, exporting and importing an excellent quality range USED MACHINERY ofbUPS,LT Panels,Chemical Centrifuge, Filter Press, Glass Line Reactor, SS Scrap, Storage Tank, Scroll Discharge Decanter, etc. These products are sourced from reliable market vendors and can be availed by our clients at reasonable prices. Under the guidance of our mentor “Mr. Gautam Makadia”, who holds profound knowledge and experience in this domain, we have been able to aptly satisfy our clients.